Whether you’re looking to spruce up your outdoor space with a screen porch or planning to increase your indoor space with a sunroom or porch enclosure, we have custom designed solariums, sunrooms and porch enclosures for any area of your home. 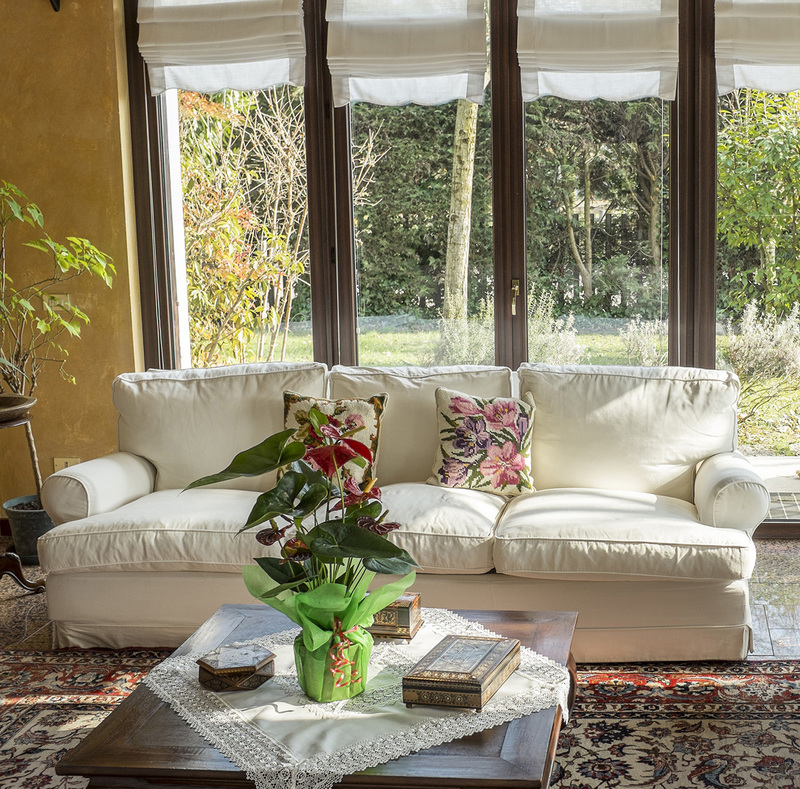 Regardless of your taste, conservatory sunrooms or cottage style sunrooms or even beach-inspired sunrooms, we are up to date with all the latest trends and styles. We will make your dream space come true. You can count on quality when you work with Stouffville Glass. Not only will we create a beautiful indoor or outdoor space for you, we will provide a 1-year installation warranty. Our focus is on quality and your satisfaction. Has your relationship with your porch become predictable or even stale? It used to be the proud area that served as a calling card for your home but now it’s a glorified muck room where muddy boots get tossed. It’s time to revive your relationship with this important area. Stouffville Glass is here to help you turn your porch-turned-storage area into your dream porch, sunroom or solarium. Whatever you desire; we’re here every step of the way – from design to installation. You may have a small entry area as your porch or you may be blessed with a large, roomy wrap-around porch. Once we help you to design and install your new space, here are some ways to give it some added touches that will increase its curb appeal and make you want to spend more time out there this spring and summer. Your porch is a transitional space into the house – stick with the same overall style as your home. Add some splash with a coat of colourful paint to the front door to make it ‘pop’. For a quick and economical update, change out your hardware. Try some strong looking house numbers or add a decorative but elegant doorknocker. Add some seasonal touches such as pumpkins in the fall and an evergreen wreath for the holidays. Contact a Porch Enclosure Specialist Today! Solariums and sunrooms are aluminum and glass structures that provide an amazing living experience. They can be built onto your home or into it. Solariums/Sunrooms not only provide a unique, comforting living space, they’re a distinctive and cost-effective addition to your home that will lift its value. Bask in the warm sun, watch rain fall on the glass, view trees, flowers, birds and more from a panoramic view or dine under the stars. Our custom designed solariums will do more than lift your spirit --- they'll improve your quality of life. Enjoy the feel and comfort of your new living area, engineered to capture natural light. Pre-designed, factory-manufactured structures may not provide the quality and features you want. Custom-designed solariums and sunrooms are built to your specs with an eye on aesthetics. 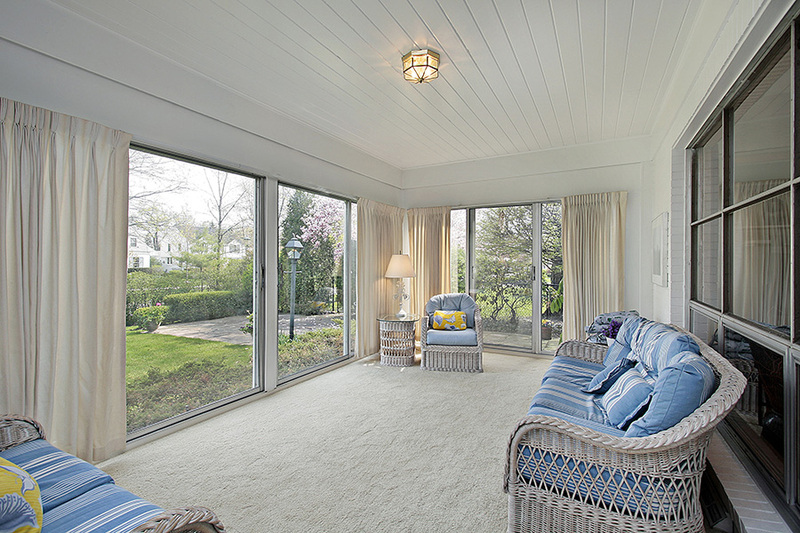 Your 4 season sunroom or solarium will be a preferred living area in your home. When it comes to solariums/ sunrooms there are plenty of design features available. Please contact us about custom designed sunrooms and solariums so we can help you determine whether it is feasible for you and which structures are best suited to your home.